This Easter egg isn’t subtle, but it does require a bit of gaming knowledge to notice. 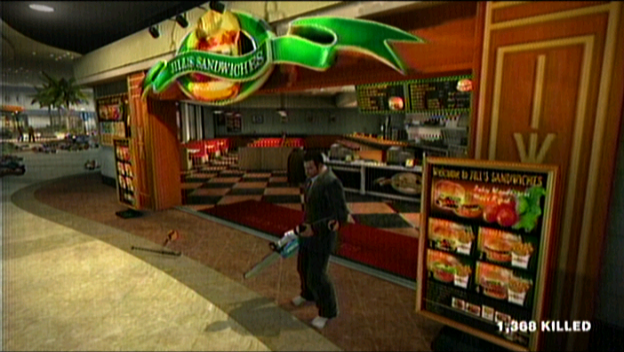 In Dead Rising, there is a shop called Jill’s Sandwiches. Is it a simple sandwich shop or an allusion to a historic zombie game? Obviously, the answer is the latter. Resident Evil has an iconic line in it that reads, “You were almost a Jill sandwich.” In a game full of weird dialogue and voice overs, that one has remained embedded in the public consciousness. I wonder what would be on an actual Jill sandwich, though? Let me know in the comments!